Just remember that ttyS0 defaults to console, and unless you inhibit that in /etc/inittab, you should avoid using that serial port and stick with ttyS1. The actual device on the Linksys nodes is /dev/tts/1. 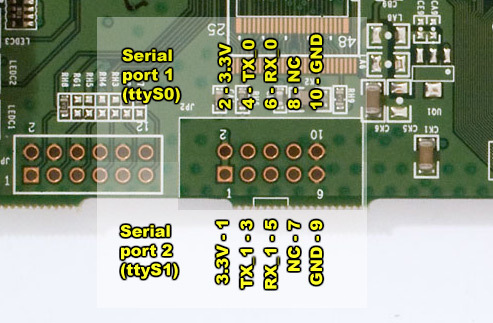 The NEO-7M-C GPS defaults to 9600 Baud, as does the WRT54G node S1 serial port, so it's a simple matter of wiring 3.3V to VCC, GND to GND, TX to RX, and RX to TX. That is in the format of Nodename, Decimal Latitude, Decimal Longitude, UTC Timestamp. This should make it relatively easy to have a website that polls the location of several different nodes and combines the data into a table or a map for instance. Hopefully this helps someone else who wants to easily implement GPS location services on their Linksys WRT54G Broadband-Hamnet nodes.